When solving crimes, the people are represented by two separate, yet equally important groups. The police who investigate crimes and the experts they go to when things get weird. Go undercover, eat some donuts and fall in love with the tough but tender detective, the spunky senior constable, and the expert no one saw coming! 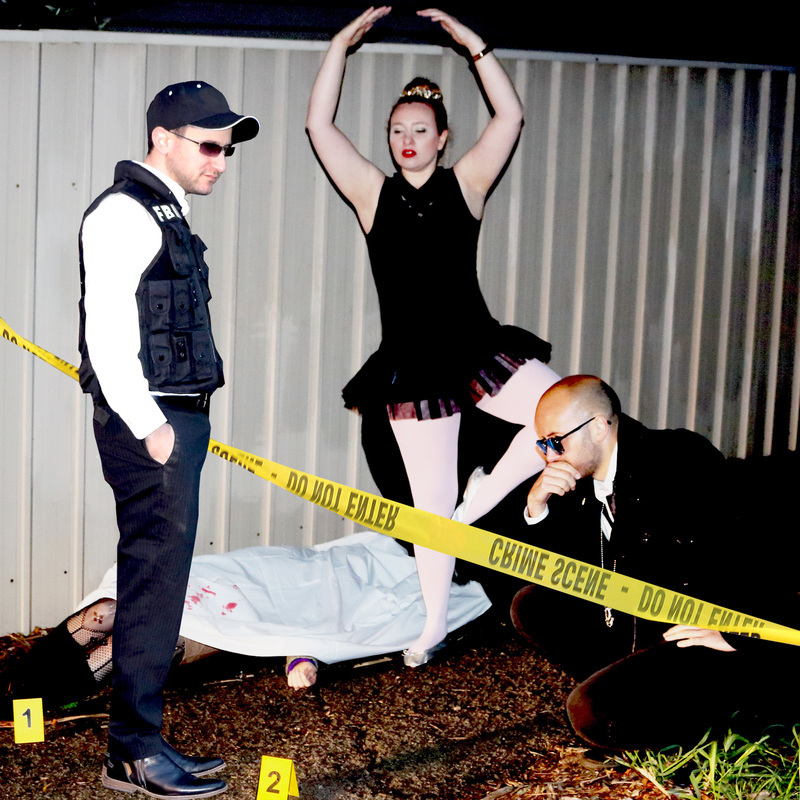 Join Tenuous Link, Adelaide's new improvised theatre powerhouse, in a brand new, completely improvised police investigation into a crime drawn from your suggestions, and the mystery will be solved by an expert in a field you select. Will it be a murder solved by a rabbi, a theft cracked by a cheerleader, or espionage foiled by a ballerina? You decide! It's Brooklyn Nine Nine if Castle joined the squad. Tenuous Link is an independent theatre company based in Adelaide, South Australia. We specialise in comedic shows, both improvised and scripted. This is an improvised show, so anything could happen!